"Soccer star Lainey Mitchell is gearing up to spend an epic summer with her amazing boyfriend, Jason, when he suddenly breaks up with her—no reasons, no warning, and in public no less! Lainey is more than crushed, but with help from her friend Bianca, she resolves to do whatever it takes to get Jason back. 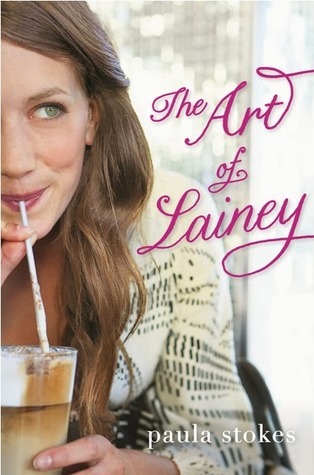 Despite enjoying The Art of Lainey, I must admit the storyline and characters have been recycled a millions times. The book commences with our main character getting dumped by her “too perfect, too-hot-to-handle” boyfriend. One minute they’re fine, and the next, he dumps her publicly with the typical “it’s-not-you-it’s-me” excuse. As you can probably guess, Lainey is wounded and confused, and decides to orchestrate this intricate plan to win him back. In comes Micah, Lainey’s classmate, workmate and someone who’s in the same boat as she is – just been dumped, and still hung up on his ex. So what happens when these two collide? They act as a couple, instigate jealousy in their respective exes, win them back…but falls for each other in the process. The characters weren’t outstanding unfortunately. I mean, I did like them only because there was nothing to hate, but there was nothing spectacular about them. A few months down the track, they’d simply blend in with all other hundreds of characters I’ve read about. What did make The Art of Lainey unique however, was Lainey’s use of the ancient Chinese military book titled “The Art of War”. As soon as I read this, I literally cracked up laughing. Which teenager reads or takes inspiration from a book written thousands of years ago? Okay, if it was above love, I’ll accept it but war? REALLY? I found it incredibly amusing how a book as antiquated and philosophical and The Art of War could apply to a purpose as insignificant as a teenager’s quest to win back an ex. (So maybe thousands of years ago, winning back – or kidnapping- an ex/lover/anyone triggered war between two territories, but NOW? No way….) I honestly didn’t understand how she managed to manipulate certain concepts to fit her situation and tactics, but nevertheless, it was quite interesting and rather intelligent of Lainey to utilise the book to her own advantage. The Art of Lainey is a quick, fun and relaxing read, with characters and a storyline that has been recycled countless times but is nevertheless very enjoyable. Fans of Sarah Dessen and Kasie West will definitely devour this J Unfortunately, this isn’t a book I’d invest my money in but I do recommend borrowing it from the library. Perhaps you’ll learn some helpful tips if you ever decide to start a “war” with someone! 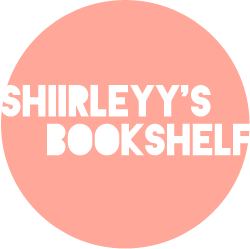 A massive thank you to HarperTeen for providing a copy of The Art of Lainey for review! Literally just read a review of this one! It sounds so cute. But considering how many books I read, I'm not sure if the characters would be strong enough to get past the recycled ideas. Still...maybe one I'll pick up from the library? I really like the idea of using a war book to get your boyfriend back, haha.